Advanced Solar Products is a full-service installer and integrator of photovoltaic (PV) systems. Our experience and expertise is in harvesting solar power for commercial and industrial organizations, educational institutions, municipalities, major utilities, and other large applications. Join us in the solar era! Complete our contact form and we will contact you promptly to arrange a site assessment. School districts have been one of ASP’s largest clients. ASP has installed photovoltaic arrays for 24 school districts on over 60 school sites totaling nearly 15 MW. ASP has installed a range of systems including roof, ground or canopy and battery systems to accommodate both available space and on-site energy usage. Every school district has distinct solar energy needs and interconnection requirements; ASP is able to expertly match up the photovoltaic systems it installs to meet those needs. ASP has developed and presents educational seminars, workshops for communities, lessons for school classrooms and holds hands-on workshops for community groups. The programs provide general information about solar PV, discusses the principles and science of solar power, and focuses on the attributes and performance of PV systems. Over the last decade, ASP has been involved in the construction of over 38 MW of photovoltaic systems for utilities. These solar power installations balance environmental protection with our energy demands. Our clients include New Jersey Resources (NJR) a Fortune 1000 company that provides reliable energy and natural gas services in states from the Gulf Coast to New England and serves nearly half a million customers, and Public Service Electric and Gas (“PSE&G”) which is one of the largest combined electric and gas companies in the United States and New Jersey’s oldest and largest publicly- owned utility. We recently completed Phase 1 construction of a 4.7 MW ground array for a municipal utility in Maine, the largest in the state. ASP has extensive experience with commercial solar installations. Our grid-tied solar systems have drastically reduced our clients’ dependency on utility energy while saving them money and earning SREC’s. PV systems have created their own source of revenue for system owners. ASP takes extra care when working at commercial sites such as manufacturing facilities and corporate campuses to ensure the safety of site employees, ASP staff and the general public. We work closely with facility managers and corporate health and safety personnel to ensure that all work is performed in accordance with site health and safety requirements. We prepare a site-specific Health and Safety Plan that incorporates ASP requirements as well as the host site, and assign a health-safety officer to each project. In addition, extra care is taken to work with each client to schedule construction activities to minimize the impact to regular ongoing activities while still completing the project on schedule. ASP has extensive experience with federal, state and municipal government solar installations. Projects include military facilities, police stations, fire departments, water treatment facilities, and wildlife centers. 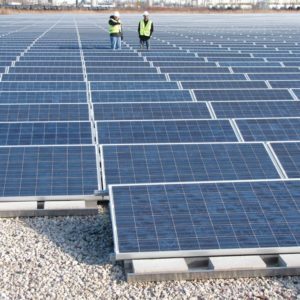 We always meet and regularly exceed federal government, municipal design and construction standards for photovoltaic construction and installation. Client privacy, site security and safety are of the utmost importance when working on these sites. ASP staff are OSHA certified and have achieved clearances necessary to perform services for these clients. Our expertise, attention to detail, and specialized care in this area makes us the ideal candidates for complex government projects. 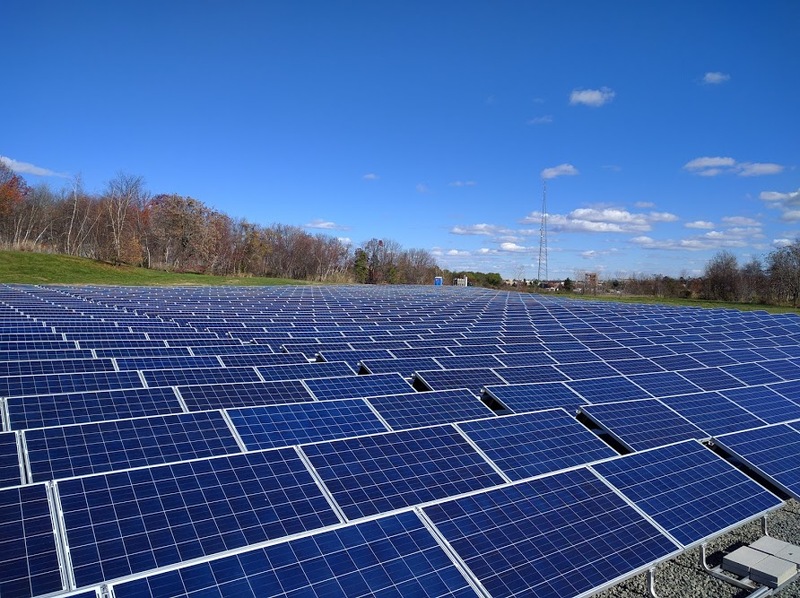 Land, such as brownfields and landfills are a wonderful opportunity for solar fields. Placing solar on these sites repurposes otherwise “unusable” land and provides an opportunity to produce clean, renewable energy. 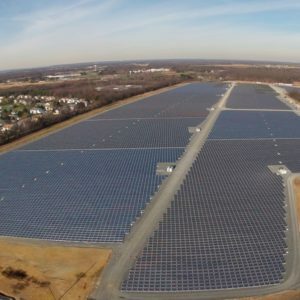 ASP has built several utility-scale ground-mounted solar PV systems on brownfields in New Jersey, and has designed three solar projects on landfills in Massachusetts. ASP is a pioneer in the integration of photovoltaic systems with generators, bidirectional inverter functionality and battery storage technology. Early in the company’s history, ASP personnel began designing and constructing PV battery hybrid systems on a residential scale to enhance the benefits of the solar systems during power outages. The systems allowed residences to function completely off-grid, depending only on the solar energy or battery system for power. 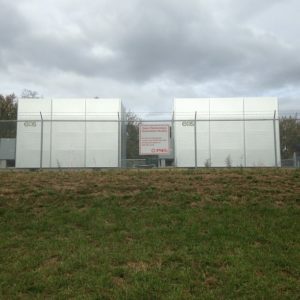 Since then, ASP has installed several commercial-scale photovoltaic systems using batteries to support “smart” inverter operation and is a leader in the movement to provide renewable energy storage systems for facilities that suffer power outages due to storms and natural disasters. 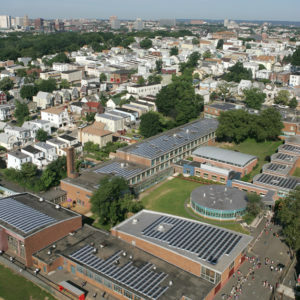 In 2008, ASP partnered with SMA America, LLC to achieve that first automated integration of a commercial PV system and inverter with a backup generator to provide emergency power at Midtown Community School in Bayonne, NJ. More recently, ASP is working with PSE&G on their grid resiliency mandate and has been awarded multiple PV/battery hybrid projects under the PSE&G Solar-4-All Grid Security Pilot Program. ASP’s goal is to construct a PV system that meets or exceeds production estimates and operates safely with minimal required maintenance. We have the experience and expertise to perform all Operations and Maintenance (O&M) activities required to ensure the safe and efficient operation of our PV systems. 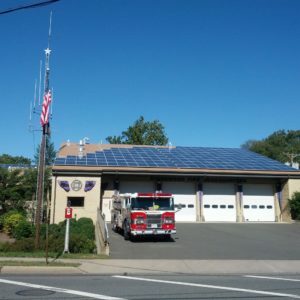 ASP has been involved with the installation of a wide variety of PV systems throughout the Mid-Atlantic and New England. We recognize that every project has different O&M requirements and offer services ranging from remote monitoring and semi-annual or annual site visits to more extensive testing, re-commissioning and reporting activities. Maintenance and service agreements are all tailored to the particular client’s needs and the needs of the specific system. All lead field staff are NABCEP certified, have been trained and mentored in quality assurance/quality control observation, and OSHA regulations in conjunction with our Corporate Health and Safety Program to avoid errors and oversights. ASP can monitor system performance remotely to ensure that it is operating at its full potential. If there is a deviation in the performance, we contact the client immediately to notify them of the issue. If necessary, we will dispatch a service team to investigate and remedy the problem. ASP will coordinate visits with the site host and the system owner as needed to obtain on-site access. Since its inception in 1991, ASP has been involved with the development of solar programs and educational efforts designed to explain the benefits of solar PV technology to legislators, educators, students and the general public. Senior personnel at ASP have held leadership positions in organizations such as the Mid-Atlantic Solar Energy Industries Association, the US Green Building Council, and the Solar Energy Business Association of New England, and have given numerous presentations to a wide variety of organizations. ASP has developed and presented educational seminars and workshops on the topics of renewable energy and solar to communities and school classrooms. These seminars and workshops discuss the principles and science of solar power, and focus on the attributes and performance of the systems. ASP also utilizes the capabilities of data acquisition systems (DAS), to provide real time information about the performance of the PV systems it installs that can be accessed remotely from computers. A number of the PV systems ASP has installed include kiosks or wall-mounted touch-screens which provide educational data on the PV system performance. The data feed from the PV system can typically be customized to the requirements of the client, and the information from the DAS can be accessed from multiple computer screens for educational purposes. ASP has also developed educational material on the topics of renewable energy and solar, and ASP staff are happy to make classroom presentations on these topics.